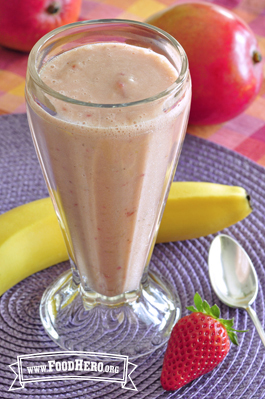 Place yogurt, fruit and water in a blender. To prevent spills, do not fill past the top line of the blender. Use any flavor of yogurt. Use fresh, canned or frozen fruit. If shake is too thick, add more water.